With Virginia’s top three elected officials engulfed in scandal, fellow Democrats were rendered practically speechless, uncertain of how to thread their way through the racial and other allegations of misdeeds and the tangled political implications. Gov. Ralph Northam’s career was already teetering over a racist photo in his 1984 medical school yearbook when the crisis spiraled out of control. First, the state’s attorney general acknowledged Wednesday that he, too, wore blackface once, when he was a college student. And then the lieutenant governor was publicly accused of misdeeds from 15 years ago. The crisis threatens to bring down all three of the politicians, all of them Democrats. If Northam resigns, Lt. Gov. 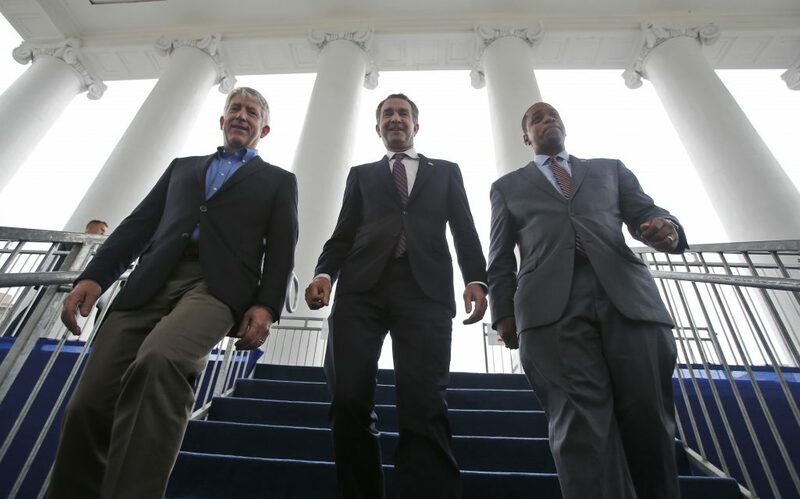 Justin Fairfax stands to become Virginia’s second black governor. Mark Herring, Attorney General of Virginia, is next in the line of succession, followed by House Speaker Kirk Cox, a conservative Republican.